A new eco-car is on the horizon for Mitsubishi to join the Nissan March and the Honda Brio as inexpensive new cars. 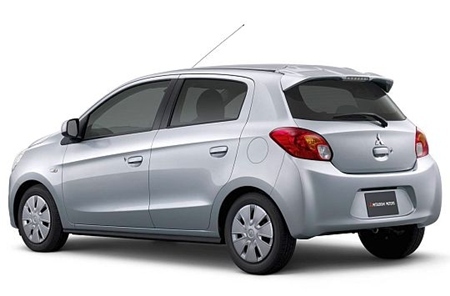 This new Mirage will be released at the Bangkok International Motor Show in March 2012. The styling is reminiscent of the Mazda2, Ford Fiesta, Honda Brio, and the interior simple and uncluttered. Being a sub-500,000 baht vehicle, this is to be expected, but it still looks more attractive than the Nissan March, which stole a march on everyone (sorry about the pun) when it was released and had the marketplace to itself. The engine, to be in line with the government’s eco-car rules, will be a 1.2 liter and fuel economy is around 20 km/l. The pundits are suggesting that Mitsubishi will also be offering the Mirage as an electric option with the iMiEV technology (Mitsubishi innovative Electric Vehicle); however, this would not be until 2014. Sadly, the Honda Brio should have been the class leader in the eco-cars, but the flooded Honda plant in November put an end to all that.